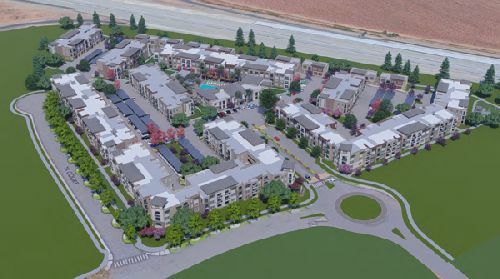 Oakdale Communities has secured $83 mil in financing for the development of The Core Natomas, a 300-unit, luxury apartment project in Sacramento. The loan was arranged by CBRE Capital Markets’ Debt & Structured Finance. Located at 2705 Orchard Lane, the village-style complex will consist of 13 two- and three-story buildings, as well as a clubhouse. The community will be comprised of one-bedroom, two-bedroom and three-bedroom apartment homes. The amenity package includes a resort-style swimming pool, fitness center and outdoor kitchens. Construction is expected to begin in May of 2019. The Core Natomas is adjacent to the I-80 freeway and less than one mile from the I-5 Fwy. The community is in the southwest quadrant of the Natomas submarket, which has recently welcomed new employers such as Centene Insurance, Kaiser Hospital and the State of California. The property is four miles from Downtown Sacramento, with numerous retail and entertainment destinations. CBRE’s Kevin Randles, Angelica Heath, Jim Richards and Susan Speer arranged the financing, equal to 90% of the total project capital.